The Gatlinburg Craftsmen’s Fair is renowned as one of the finest crafts fairs in the nation. This year again an enormous community of craftspeople from all over the U.S. will gather in the Gatlinburg Convention Center, July 20th thru July 29th, for the 37th Annual Gatlinburg Summer Craftsmen’s Fair. 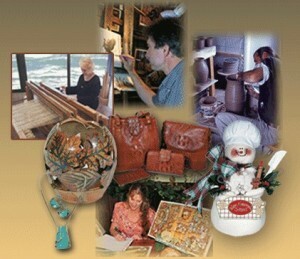 All the artisans are juried to ensure the uniqueness and quality of their products. Some of the country’s finest artists and craftsmen in almost 200 different booths will demonstrate their skills and techniques, answer questions, and offer an incredible variety of one-of-a-kind handmade products for sale. Expect to see work in every medium you can imagine – from wax to leather to canvas and paper, woods and metals, gems and treasure boxes to hold them, guns and knives and musical instruments. The list goes on and on, wonder upon wonder, so give yourself a lot of time during this week to explore them all. Also featuring live Bluegrass and Country entertainment, the Gatlinburg Craftsmen’s Fair is one of the Southeast’s most popular events, hailed as a show that should not be missed! The Fair is open 10am – 6pm daily, closing at 5pm Sundays.